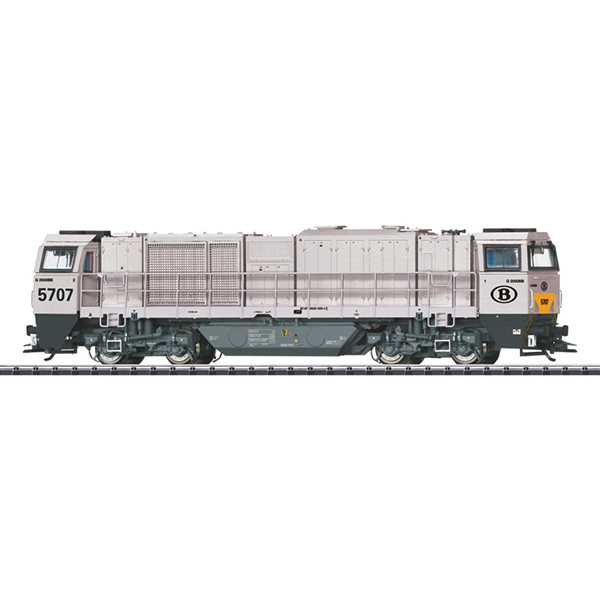 Prototype: Class G 2000 BB Vossloh heavy diesel locomotive with symmetrical cabs. Locomotive owned by ATC AngelTrainsCargo, Antwerpen, leased as the class 57 to the Belgian State Railways (SNCB). Light gray / green basic paint scheme with an "Umbra Gray" frame. Road number 5707. The locomotive looks as it did around 2011.